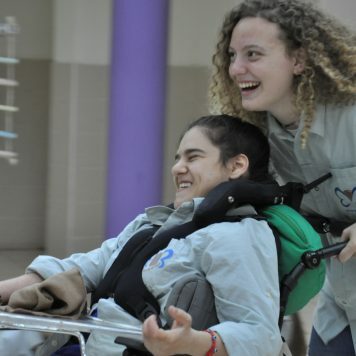 Krembo Wings is the only inclusive youth movement in Israel for children and youth with and without disabilities, providing weekly social activities for young people with all types of mental and physical disabilities together with their able-bodied peers. Established in 2002, Krembo Wings has sixty-five branches across Israel, and welcomes thousands of young people aged 7 to 22 from all cultural, religious and socio-economic backgrounds. Following the motto “Together, creating a meaningful place for everyone” their mission is to provide integrative, inclusive, and accessible social activities for children with disabilities – children who otherwise would not have such an opportunity. Striving to fulfill the basic human need to love and be loved, to have friends, and to have a rightful place in one’s community, Krembo Wings’ vision is to enable every child living with any type of motor, cognitive, or sensory disability to take part in enjoyable social interactions between one another and their able-bodied peers, as well as to become part of community life in Israel. In order to gain a deeper understanding of their philosophy and work, we asked Mimi Eksner-Levi a few questions about the youth movement. She is the International Partnerships Coordinator at Krembo Wings and always open for international youth groups that are interested to visit their center. If you are interested in learning more about the topic of inclusion, feel free to ask her for a workshop! Mimi, is there a special meaning to your organization’s name? Krembo Wings is named after a popular Israeli chocolate and marshmallow treat called ‘Krembo’, which because of its delicate nature is individually foil-wrapped by hand (In the U.S. it is known as ‘Marshmallow Fluff’ with a biscuit, or ‘Schaumkuss’ or ‘Dickmanns’ in Germany). Likewise Krembo Wings aims to realize the potential of each child and youth with disabilities by providing opportunities for social integration with one another and with able- bodied peers, while taking care of each person’s individual needs, and helping to spread their wings. How does Krembo Wings deal with ‘diversity’ in their educational work regarding Israel’s heterogeneous society? In Israel, youth rarely have the opportunity to live or study with children from other cultures or belief-systems. The formal education system is segregated, thus perpetuating separation according to one’s culture or religion. At Krembo Wings, through our informal educational programming we break down the barriers that separate individuals. 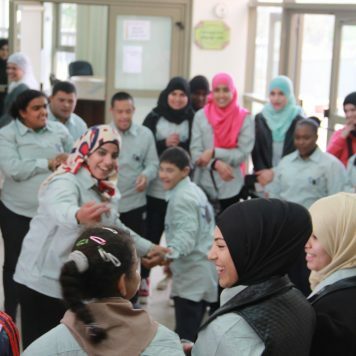 Our inclusive youth movement operates seven intercultural and six Arab branches, and most of our other branches are Jewish pluralistic, including children from secular, traditional and religious families. Each member with disabilities (aged 7–22) is paired with two able-bodied counselors (aged 12–18) who accompany them in the activities. All members participate in weekly branch activities all adapted to appropriate ages, cultures, and abilities. Members organize community events, take part in a summer camp, a delegation to Poland, and celebrate holidays of all cultures in the branch. Through these activities our members build friendships, celebrate holidays of cultures they would not get to know otherwise, and become open-minded and accepting adults. The branches are led by teams of youth who reflect the population of the community where they live, creating a diverse leadership base. The diversity of the branch leaders enables our activity content to be culturally sensitive. We are proud to say that our activity sessions are led in three languages – Hebrew, Arabic, and sign language. 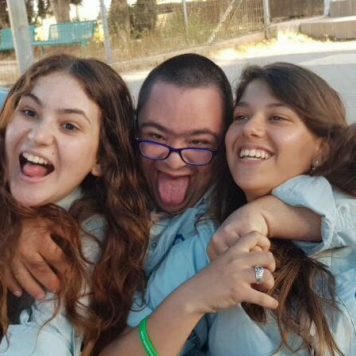 We strive to ensure that these youth have the opportunity to be an integral part of Israeli society and to give them the tools to create social change by combating stereotypes and creating a more tolerant and pluralistic society. Why aren’t professional educators needed at Krembo Wings? You don’t use them in your work. What competences do you teach the kids who take the role of group leaders? We believe in youth leading youth, the only adult found at a branch are the adult coordinator – usually a university student in his twenties who is in charge of the overall branch activity – and a nursing care worker, who takes care of the members’ hygienic needs. One of our goals is to develop the leadership skills of able-bodied youth while promoting the values of social responsibility, inclusion and diversity. Our youth counselors and leading- team members are a crucial component of our branch structure. Each member with disabilities is paired with two counselors for the duration of the activity year. Our counselors participate in a comprehensive training program which provides them with the skills necessary to work with their special member in a way which empowers and enables their full participation in activities. It also provides the opportunity for our counselors to gain leadership skills, group management skills, and tools to handle crises and challenging situations. The families of and professionals working with our counselors all attest that the youth who volunteer as Krembo Wings counselors display qualities of confidence, maturity, and responsibility – qualities which they developed since they started volunteering at Krembo Wings and which were not present before. Their behavior with their siblings and parents is transformed and we have also been informed by teachers of our youth counselors that their grades and high-school attendance has improved since they started volunteering at Krembo Wings. Are you facing certain obstacles, when providing social activities for the children? Although our biggest challenge is designing activities that engage and are suitable for a diverse range of disabilities and ages, we have professional departments whose main jobs are to meet these challenges. 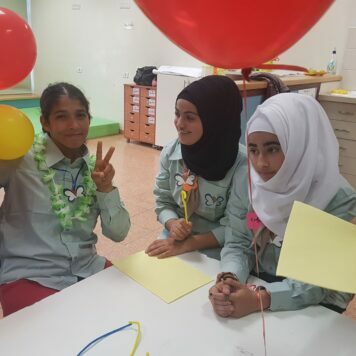 The educational department developed a new concept in order to ensure that all children of all cognitive abilities will find the activities enriching and challenging. In the upcoming activity year this new concept will be implemented in 15 branches and then optimized in the following with the intention to apply it nationwide in all branches. Not only does it aim to create more diverse activities, but to also to include younger children from the general education system. Another obstacle is also the fact that in order to be recognized by the Ministry of Education as a youth movement, we must take a one-year hiatus from receiving any government funding, meaning that the Ministry of Welfare, who has been one of our largest supporters over the last four years cannot support us in 2019. We therefore must do our utmost to increase the amount of funding by our existing donors and supporters who believe in our activities and wish to see Krembo Wings continue to grow and thrive. Which activities or trips that you organized at Krembo Wings were your highlights? Please also describe why. Summer Camp: Our participants also have the opportunity to attend our annual inclusive family summer camp each year in August. During the three-day camp our members and counselors participate in special activities, day trips, and outings, and parents and siblings have the opportunity to attend events designed specifically for them. It is often the only chance these children and their families have to go on vacation, and often the only opportunity that family members can meet and bond with other families in a position similar to their own. Poland Delegation: Each year a Krembo Wings delegation made up of our members with disabilities, their parents and our youth counselors, sets out to Poland for ten days to visit the most infamous sites in the history of European Jewry. 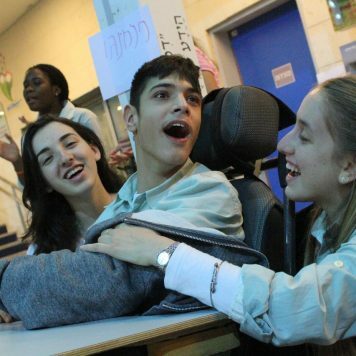 The main goal of our delegation is to ensure that youth with disabilities are afforded the same rights as other youths in Israel and the Diaspora to visit historical sites, to stand at the place where so many of their ancestors were exterminated and to come to terms with the overwhelming events that occurred there. Order of the Wings Ceremony: At the annual ceremony, each branch honors their members with a badge signifying their commitment to the movement’s vision and honoring their participation. The ceremony is attended by the entire family and representatives of the local municipality, showing the importance of the event. National Counselor’s Day: Once a year all counselors from all branches across the country get together to compete against the other branches through team-building activities. Each branch prepares for this day in excitement by creating cheers, banners, shirts and more.